Saturday, March 7, 2015, at 21.30 hours (9:30 PM CET), will take place the inauguration of the Museum of the Metaverse, the welcome presence of dr. Mario Gerosa and Dr. Elif Ayiter. The meeting will be streamed on the web. The occasion is especially suitable for presenting the new museum, designed and created by Elif Ayiter. 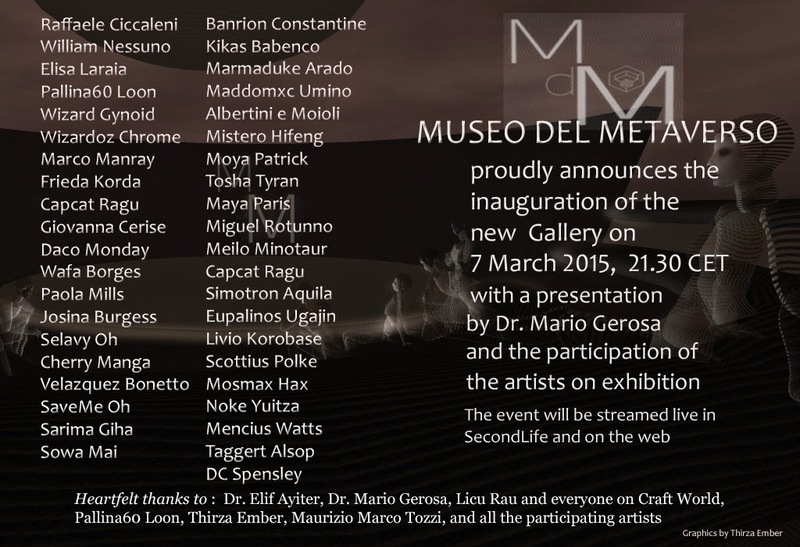 The Museo del Metaverso was established in the parallel world of Second Life in 2007 by Rosanna Galvani; after a year off, MdM reopens in OpenSim, the Grid Craft. It is a 3D digital museum, which houses more than 40 artists and installations, which can be visited in the immersive, just parallel worlds. The museum, in the years between 2007 and 2011, he participated in several initiatives, organized in the physical world by organizations and institutions, such as Rinascimento Virtuale in Florence, for the curatorship of Mario Gerosa, Futuroma and Ars in Ara in Rome, Innovation Festival in Milan, Viareggio Art Project in Viareggio, Open Garden in Fogliano (LT). The window on the web, of which the Museum has, with the site and the group page on Facebook, Google Plus, Twitter and Flickr, YouTube, Pinterest, is an effective means of communication initiatives that are planned. The Museum of the Metaverse, 2015 amended its mission, paying particular attention to the web and to the physical world. Therefore, the Museum, as well as place to visit and explore the beauty of the structure and the works that are preserved / exhibit, will be a laboratory where to create initiatives, events, performances to show in the physical world, through cross-media operation, that pass through the various media, with the use of network it have. 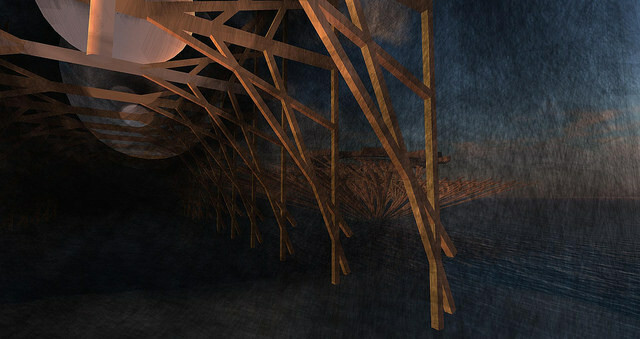 The works, installations, the fine architecture of the museum, the performances, events, artists and the owner constitute a single conceptual work, immersive and performing, ready to cross the threshold of a world to enter another and, on the other hand, to welcome those who want to confront reality ever more immersive and "augmented", like the one where the museum operates.